So Arthursday seems to have become a Hallmark-esque event in a bid to make the Irish population drink even more and try to forget about the dire state of the nation. In a lot of ways, I can’t stand the commercialism but in others, well if you can go to the Village for a tenner and see the likes of Kelis, Tinie Tempah, Example and Ty all then I’m all for it. Thanks to some unforeseen circumstances, I actually missed Kelis in the Village. Ah well what are you going to do? Nothing! I only really wanted to see Example. He has produced some of the best pop music in the UK in recent times. 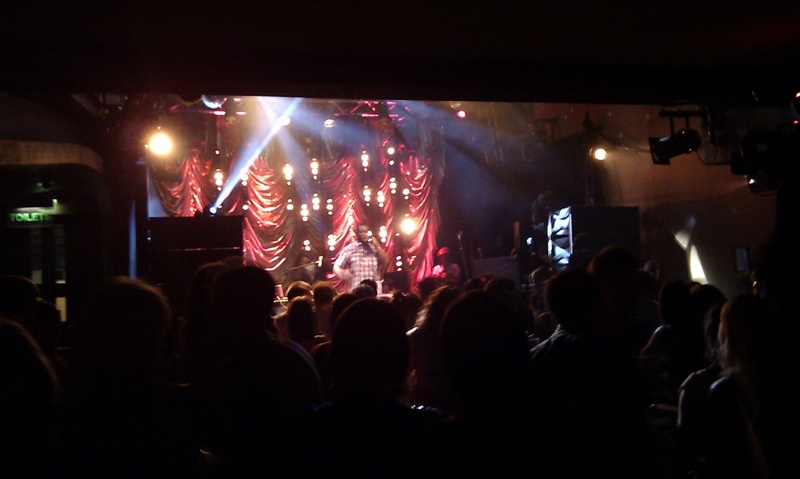 First up was Tinie Tempah, who’s hip hop stylings immediately grabbed the audience. 400 Dubliners singing ‘Pass Out’ in a London accent is a big on the weird side though. The audience loved him, shouting his refrains back at the stage. Soundwise as was the story throughout the whole night, you can’t really go too wrong with a left and right output from a DJ mixer and a mic to plug in. I’d go see Tinie Tempah for his own full set, overall I was pleasantly surprised. I had wanted to see Example since, oh last November I’d say. I really enjoyed his set though the audience in the Village didn’t really seem up for music which contained verses. Methinks they were just out of the office and wanted to get hammered on cheap booze. He played ‘Won’t Go Quietly’, ‘Last Ones Standing’, ‘Watch the Sun Come Up’ and ‘Kickstarts’, which Example himself described as an anthem. Kickstarts was basically the song everyone wanted to hear and it sent the audience into overdrive. Once Example’s set ended most of the crowd left, soo ill advised. I had never heard of Ty before but I’m sure he got a few new fans by the end of his set. Proper hip – hop , he got the much depleted crowd in front of the stage into his set. Ty performed a fantastic set, he deserved The Village to be full. Really liked him. The biggest problem of the night was getting home, its was horribly wet and I got soaked. Dislike!